The west side beach towns of Santa Monica and Venice are a nice respite from “there is no there there” Los Angeles urban sprawl. Sunrise in Santa Monica | Photo Credit: Find. Eat. Drink. L.A. is a car town. It’s also a traffic town. Try getting from one end of the city to the other and you’ll find yourself crawling along in bumper-to-bumper traffic while trying to figure out their ribbons of freeways. Yes, freeways. Don’t call them highways or they’ll know you ain’t from these parts. Throw in the term "Sigalert" and you're on your way to being an Angeleno. Here are suggestions for your 24 hour visit to Santa Monica and Venice, from sunrise to sunset to late night noshing, all recommended by local chefs, sommeliers and bartenders. Download the Find. Eat. Drink. iPhone app to get the full Los Angeles guide. Artisan bakery and cafe where everything served is made on-site. The menu changes with the seasons and the baker's whims. Cora's Coffee Shoppe | Photo Credit: Find. Eat. Drink. Renovated classic coffee shop serving Italian / California cuisine. Great al fresco dining outside on the covered porch. The brunch crowd loves this place, so expect a wait on the weekends. This is a bakery and pizzeria serving fresh-baked pastries and breads, wood-fired pizzas, pasta, farmers market salads and small plate dishes. In the morning, they serve breakfast from eggs and coffees to cereal and yogurt and fruit. Chef and owner Jeff Cerciello was the Culinary Director for Bouchon, Bouchon Bakery and Ad Hoc; French Laundry; El Bulli before opening this Brentwood Country Mart restaurant serving a menu made up of artisanal ingredients. Intelligentsia Coffee | Photo Credit: Find. Eat. Drink. Custom built motorcycles, hand-shaped and hand-glassed surfboards, vintage clothing and an espresso bar all in former gas station. Andrew Steiner worked as the Maitre d’Fromage for Joachim Splichal’s legendary restaurant Patina. After 24 years of working in restaurants, he opened Andrew's Cheese Shop in 2008. Italian purveyor that sells mainly to the restaurant trade. Find everything from salumi, pasta and cheeses to coffee, candies, wine and beer. 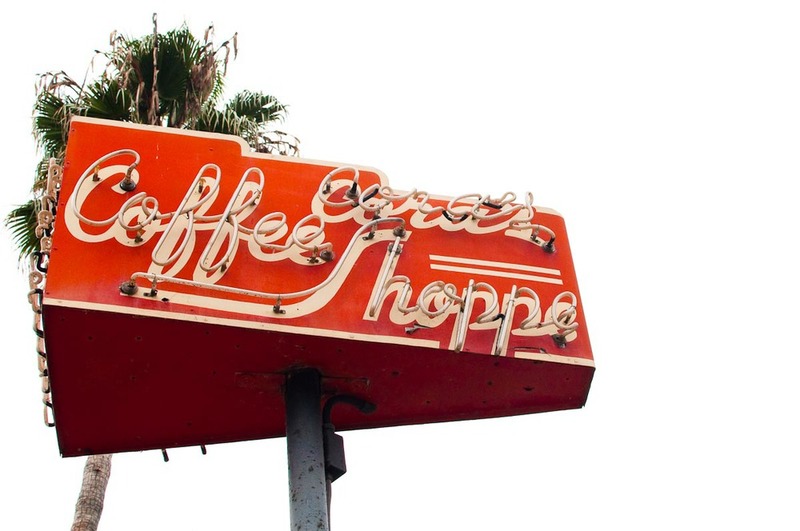 A Santa Monica classic since 1925. Aside from Italian cheese, cannolis and pasta, they carry other specialty foods from around the world. But it's their sandwiches that people line up to order. Classic late 50s diner. It not only looks like a movie set, it's been used many times as a back drop for shoots. Bottomless coffee cup. Cash only. East Coast seafood shack meets West Coast vibe. Oysters, steamers, seafood towers and lobster rolls. They also have dishes like Bouillabaisse and Crab Louis. Taku and Keiko Shinomoto sell beautiful imported goods from Japan. Make sure to stop in their sister store down the block. Small batch house-made ice cream using organic milk and cream from Clover Farms, organic eggs and sugar. No stabilizers or ice cream bases. They also make their toppings, cones, sauces and ice cream sandwiches from scratch daily. Market-driven American cuisine in a homey meets industrial setting. Chef and owner Josiah Citrin's two Michelin star rated restaurant. He is dedicated to sourcing ingredients from local farmers for his seasonally-inspired French cuisine. Seasonal small plates, rustic pizzas, house-made pasta and fresh pastries, by Chef Jeff Mahin. The menu changes regularly depending on farmers' market finds. The dishes are meant for sharing while you sip hand-crafted seasonal cocktails, or drink artisanal beer and small producer wines. Just steps from the beach, this is an upscale market and farm-driven restaurant. Chef Jesse Barber, who worked at the Tasting Kitchen, creates an Italian menu with California ingredients. The dishes range from gnocco fritto with uni to boudin blanc to cavatelli with squid ink. "It is run by a group of my friends from good old Tasting Kitchen days, but even beyond the very creative and amazing food they have a stellar wine list. Jared, their sommelier, is crushing the show here and does regional specific menus which let me dive into the world of Northern Rhone or Alto-Adige. Basically for someone like me who loves flavors and nuances, it’s a dream come true." Mediterranean cuisine with handcrafted pastas and farm-fresh seasonal ingredients. There is a choice of an a la carte or tasting menu. Chef David Lentz describes his restaurant as progressive American seafood using seasonal produce and fresh seafood from Southern California. The cocktail list is tailored to what barman Vincenzo Marianella sources at the Santa Monica Farmers Market for his hand-crafted drinks. The East Coast small beer bar's Venice outpost. Lots of sharable plates and beer to choose from on the menu. Most opt for the dry-aged Office Burger with caramelized onion, applewood bacon, gruyere, maytag blue, and arugula on a French roll. Huckleberry Cafe has many fans including baker Matt Lewis of Baked NYC and chefs David LeFevre and Josh Whigham. Their cookbook makes for a great gift. Owner Jamie Cantor was the pastry chef at French Laundry before opening her own bakery in Culver City where she sells all kinds of sweets. You can buy them in gift tins to take home. Bartender Breadyn Tepper of Hinoki and the Bird passes along this recommendation, "Locally-made by Louis Anderman. The man is a mad scientist and makes all types of bitters that go great in cocktails." WEATHER | 5 day weather report. HOTELS | Tablet Hotels -- book a room in Los Angeles. LAST MINUTE HOTELS | Hotel Tonight -- book a room. APARTMENTS | Airbnb -- rent an apartment. CAROUSEL & FERRIS WHEEL | Santa Monica Pier. LA SCENE | The Deli Magazine. MUSEUM | Museum of Contemporary Art. READ | Trip Reads for Los Angeles -- Inspirational reading lists for today's traveler. Wolfgang Puck -- chef and owner of Spago, CUT, Chinois in Los Angeles. Suzanne Goin -- chef and co-owner of of A.O.C., Lucques, Tavern, Larder at Maple Drive in Los Angeles. 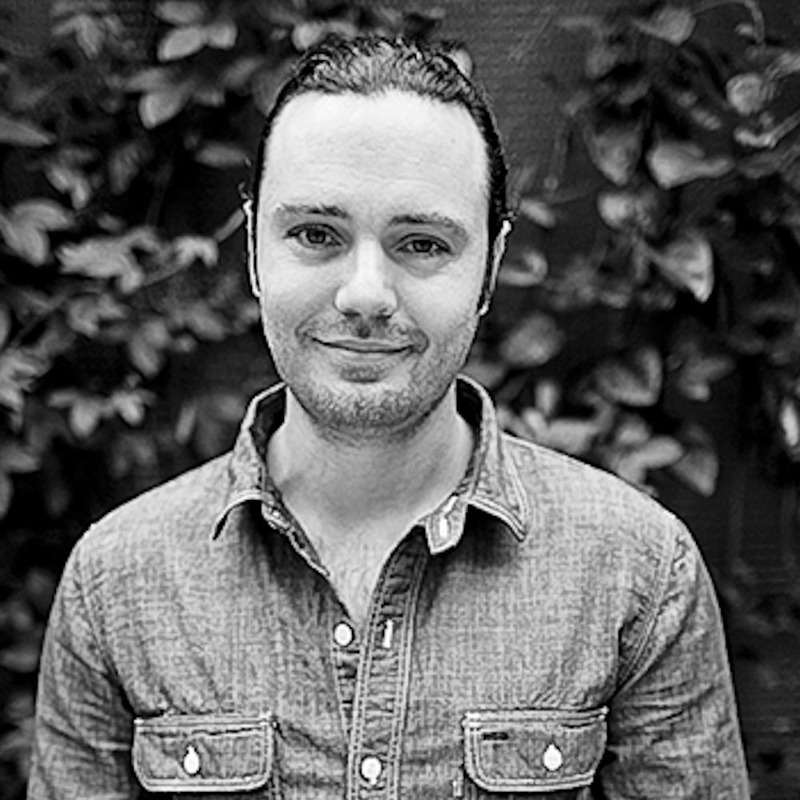 David Myers -- chef and former owner of Hinoki and the Bird, Comme Ça, Pizzeria Ortica, Sola in Los Angeles. Kuniko Yagi -- formerly chef at Hinoki and the Bird in Los Angeles. Steve Samson -- chef and co-owner of Sotto in Los Angeles. Josiah Citrin -- chef and owner of Mélisse Restaurant in Los Angeles. Andrew Kirschner -- chef and owner of Tar and Roses in Los Angeles. Susan Feniger -- chef and co-owner of Border Grill, Mud Hen Tavern in Los Angeles. John Sedlar - chef and owner of Rivera of Los Angeles. Joshua Whigham -- chef of The Bazaar by Jose Andres in Los Angeles. Ori Menashe and Genevieve Gergis -- chefs and co-owners of Bestia in Los Angeles. Jamie Cantor -- pastry chef and owner of Platine Cookies in Los Angeles. Nyesha Arrington -- formerly chef at Wilshire in Los Angeles. David Lentz -- chef and owner of The Hungry Cat in Los Angeles, Santa Barbara. David LeFevre -- chef and owner of M.B. Post, Fishing with Dynamite in Manhattan Beach. Caroline Styne -- sommelier, wine director and co-owner of Lucques, A.O.C., Tavern, Larder at Maple Drive. Eric Alperin -- bartender at The Varnish in Los Angeles. Noah Ellis -- bartender and co-owner of Red Medicine in Los Angeles. Brandyn Tepper-- bartender at Hinoki and the Bird in Los Angeles. Derrick Bass -- bartender at Willie Jane in Los Angeles. Ryan Wainwright -- bartender with Bombet Hospitality Group in Los Angeles. Tyler Wells -- barista at of Blacktop Espresso Bar (formerly co-owner of Handsome Coffee) in Los Angeles. Piero Selvaggio -- of Valentino Restaurant Group in Los Angeles. The formerly seedy Mission is now one of the best places for new eating & drinking spots. Downtown Tucson is on the upswing with a new streetcar and plenty of great cocktail bars and restaurants to hit.